This edgy mix of sterling silver and Italian leather brings ‘wrist hardware’ to a whole new level. It’s a little bit rock n’ roll, without the big hair. This Personalized Dark Brown Leather Cuff will feel as comfortable on your wrist as the meaningful stamping will within your soul. Vegetable tanned Italian leather and our famous Sunny pendant is a match made in jewellery heaven. The leather wraps around your wrist 3 times with an adjustable closure. Have the Sunny pendant hand stamped with up to 30 characters (including spaces) to capture precious names, words or dates (see Stamping Information tab for more info). This modern cuff is as personal as it is stylish. Elements: Genuine Leather (Italian made) & Sterling Silver (Canadian made). This beautiful lightweight bamboo robe feels and looks just luxurious! The Karen Restful Robe is super silky and comfy. Shorter length gives a romantic, feminine look while the fabric is so comfy you can wear it over any pajama set while you relax or get ready for your day. Also a perfect choice for brides and bridal parties for “day-of” getting ready. REAL ROSE . REAL GOLD Lined with precious 24 karat gold, a real rose is preserved in all its splendor to bring you this unique romantic gift. A forever rose to symbolise forever love. It’s the perfect gift for Valentine’s Day, anniversaries, weddings and more. Find your favorite combination! The quality of the Thirty-One brand meets personal style in their brand new line of handbags, totes and cross body bags! The Studio collection lets you find your favorite style and combine with your pick of patterned flap. So design your own! We love the Thirty-One Modern and a twill stripe flap. It can easily go from winter to summer and the thin stripes give a neutral vibe. See the full line and pick one to suit your own personality or give as a gift. Vivid colors and abstract design can evoke the free spirit in anyone. The Bohemian Crush yoga mat features a synthetic suede fabric surface that provides extra comfort and non-slip technology for your practice. No matter how much you sweat, gone are the days of slipping, towel bunching, and mat tears. For dry hands and feet, spray water onto the mat prior to use to further prevent sliding. Our premium mats will help improve your practice and inspire you to always Live Limitless! With many of us starting a running program for spring races and events, a quality running shoe is essential. Look great and stay comfortable in one of the Vivo Barefoot styles. The Vivo Barefoot Primus Lux has been re-designed for the colder months, with a supple wild hide leather upper and stretchy airprene collar for a sock like fit. Give your feet the ultimate sensory experience through the city streets in winter. A pharmaceutical grade skincare treatment that is incredibly effective without a prescription. No needles or knives, just an advanced, innovative product that replaces expensive medical procedures and in-office treatments! Using the highest active levels possible without a prescription, this non-abrasive formula provides intensive 20% EXfoliation with a potent complex of glycolic acid, lactic acid, glucosamine, and encapsulated salicylic acid and calming ingredients help make this peel safe and effective, without long-term irritation. Skin is visibly transformed in the comfort of your own home! Choose a personalized gift that will last longer than those flowers or candy! These personalized engraved rings from Brandford Exchange area a beautiful and meaningful gift. Men’s and Women’s styles available. Choose your style and then choose the script that fits your personality and style. We love this selection! Lightweight full-body treatment absorbs easily, leaving skin hydrated with no oily residue. Made with 98% certified organic ingredients, including olive, jojoba, and sweet almond oils and an array of botanical extracts that sooth and soften.Scented with essential oils & extracts of Oro Blanco grapefruit, amyris, rose geranium, pink peppercorn & patchouli. Sparkling citrus with warm woodsy notes. Be Cupid’s wingman this year and steal the hearts of all those around you. Valentine’s Day is meant to celebrate all relationships with friends, family, and even coworkers. So many people in your life would treasure flowers for Valentine’s Day. All flowers have a different meaning and can send just the right message, so make sure you know what types of flowers you are sending in your Valentine’s Day flower delivery. If you need any help, we have a curated guide of Gifts He Loves to Give and Gifts She Loves to Give that are sure to pull on the heartstrings of your loved one. Don’t worry if you’re late on buying a gift, we’ve got you covered with same-day flower delivery. Your Valentine’s Day flowers will always be hand-arranged and hand-delivered by a local florist. Be captivated by MOONLIGHT Eau de Parfum, the illuminating new fragrance from Ariana Grande. Seductive. Confident. Inspiring. Seductive and mesmerizing, the MOONLIGHT fragrance embodies Ariana’s confident spirit, optimistic energy and bold stage presence. An enchanting symbol Ariana’s fans know and love, MOONLIGHT illuminates your true self, celebrates your uniqueness, and makes you absolutely irresistible. Luminous and alluring like the MOONLIGHT, the new fragrance from Ariana Grande opens with sparkling rich black currant and juicy plum while the ultra-feminine heart of fluffy marshmallow and fresh peony add a captivating wink of intrigue and mystery. A final seductive touch of creamy sandalwood, black amber and sensual vanilla create an indulgent, lasting trail of addiction. A quality drink cooler is a must have! For her, this quality drink cooler keeps drinks cold or hot and looks beautiful with it’s gorgeous flowers on the white background. This beautiful cooler won’t get mixed up with anyone else’s! Apply prior to your lipstick for a great base to your lip color. Goes on smooth and keeps your lipstick looking even and true to color. With winter weather in full force, I found this lip putty to be a great addition to my makeup routine. It filled in lines where needed and left them feeling hydrated. A great idea for yourself or as a gift. The chain itself is adjustable and can be worn at 15 in (37.5 cm), 15.8 in (40 cm), 16.5 in (42.5 cm) and 17.7 in (45 cm). Our personalized necklace in White Copper provides you with an opportunity to show off a little bit of yourself in a more dainty and demure way! You can put any name or word you want on this stylish necklace. Get one for yourself and for a friend or family member. The Electric Chocolate Melting Pot by Good Cooking is chocolate lovers’ dream, melting up to two cups of chocolate at a time and works with any kind of chocolate you choose. This Chocolate Melting Pot makes sure that your chocolate melts at the perfect temperature, the highest setting evenly melts the chocolate, while the lower setting tempers your chocolate, keeping it smooth for easy pouring, dipping and drizzling. Mommy & me wool wide brim hats for the fall season is simple and adorable way to match one another. Available in wine and black. See the Accessories tab for matching Toddler Wool Hat. A collection our famous nudes just for You! These flattering shades are the perfect gift and are exclusively packaged in an eye catching Silver or black makeup bag. Kit Includes: Liquid to Matte Lipstick, Lip Liner, Hydra-Gloss Lip gloss. Cleanse, nourish, and scrub all at the same time! Coconut Oil and Glycerin keeps your skin moisturized and healthy. Glycerin is a natural humectant, so it’s a substance that retains moisture, helping you keep your skin soft. These loofahs are sliced into about an inch thick, and dipped into Honey Belle soaps. Valentine’s Day is in full effect at the Beauty Kitchen. Surprise your friends, coworkers, littles, etc. with these customizable bath bombs by Beauty Kitchen. Large size heart with sweet smells. How it works; Order your Customizable Bath Heart We will send you an email to obtain your color and saying, name, etc. preference (nothing is off limits). Your order will ship by 2/10 for Valentine’s Day Delivery Gift wrap and in house shipping available! And YES we can ship Black hearts to those you loathe or Love! Dew Puff facial sponges are made from the root of konjac, a plant native to Asia. Konjac has long been regarded for its health and medicinal properties. With its natural ability to break down dirt and promote circulation, Dew Puff is the perfect puff for dew-beautiful skin, everyday. 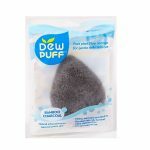 Dew Puff with Bamboo Charcoal contains activated carbon and minerals to help prevent breakouts, plus antioxidants. Soothing for blemished skin. Super soft and for gentle everyday skin care. Cleans, exfoliates and refreshes. Skin stays naturally hydrated 100% chemical-free Just add water to use. See the different varieties and choose one favorite or all! The wireless EcoTank all-in-one with Cartridge-Free Printing and auto 2-sided printing The Expression ET-2750 EcoTank wireless all-in-one offers revolutionary cartridge-free printing with easy-to-fill, supersized ink tanks. It includes up to 2 years of ink in the box1. That’s an incredible amount of ink – enough to print up to 5,200 pages2, and equivalent to about 30 ink cartridge sets3. Plus, it features auto-stop ink bottles with each color uniquely keyed for easy filling of each tank. And, you save up to 80 percent on ink with low-cost replacement bottles4. The ET-2750 also offers convenient wireless printing from tablets and smartphones5, plus Wi-Fi Direct®6 and auto 2-sided printing. Now with active noise cancellation and 60 hours of pre-charged sound, the Flex Bluetooth Active Noise Canceling Headphones offer quiet studio comfort for all-day, uninterrupted listening. Flex Bluetooth ANC reduce environmental noise by 94% for up to 60 hours. With ergonomic Form-Fit™ Earcups, stainless steel metal backbone and award-winning sound, the JLab Flex Bluetooth ANC Headphones are the go-to for any traveler, music lover, or bold city-goer. Strengthen your cell phone’s data and voice connection with weBoost’s latest cradle booster – the Drive Sleek, our most powerful and versatile 4G cradle cellular signal booster for vehicles. Use the Drive Sleek in your car, truck or any other vehicle to keep you connected. Place your phone in the cradle and get up to 32 times better cell coverage! Stronger signal means faster data speeds, clearer calls and even better battery life in weak-signal areas. Setup is easy! Our newly designed outside antenna sticks to the roof with a super strong rare earth magnet. For non-magnetic roofs, an adhesive disk to secure the antenna is included in the Drive Sleek kit. Included in the kit is a 5V / 2.1 Amp charging port. This port charges the device much faster than a standard 5V / 1 Amp output port. The innovative cradle design can hold phones up to 7.5 inches long and as small as 5.1 inches. For context, Apple’s popular iPhone 7 Plus (6.23 in. ), and new iPhone 8 Plus (6.24 in. ), as well as the Samsung Galaxy Note 8 (6.4 in.) would fit perfectly. The Drive Sleek is compatible with all US cellular networks including Verizon, AT&T, Sprint, T-Mobile, US Cellular, Straight Talk and more. This FCC certified booster comes with all components needed for installation in one simple package, making installation a breeze. Like all weBoost products, the Drive Sleek comes with a 2-year warranty and 30-day money back guarantee. What sets Saxx Underwear apart? These best-selling boxer briefs are slim-fitting for smooth layering and come in a fresh line-up of original prints and patterns every season. Breathable viscose fabric sits close to the body to wick moisture, and has a super soft hand for all-day comfort. Saxx offers a comfort guarantee, flat out seams, 3-D fit, and more. Check them out on the website and learn more! The charismatic Men’s Frore Sweater Knit Fleece jacket acts both as an all-around jacket for the mild weather and as a comfy layering piece for the cold winter season. Offering warmth without the bulk, this functional outerwear has chest pockets and large interior pockets that provide enough space to keep your house keys, phone, wallet etc. Get your beard started right with our family of sweet mint beard products. Included in this starter pack is 1 Sweet Mint Beard Oil, 1 Sweet Mint Beard Balm, and 1 sustainable bamboo beard comb. These blends of orange and peppermint are lightweight and fresh, but tweaked slightly to better work on beards. If you’re a fan of old-school scents, this one’s for you. We keep our scents simple, in name and recipe, which creates a true premium blend. Regular use of this beard oil will result in a softer and healthier looking beard. This quality cooler from ORCA will stand the test of time. Don’t settle for a bargain drink cooler! The Laser-OSU logo looks great against the orange background. Find your favorite team logo today. For the one on your list who doesn’t want a box of chocolates but loves those Valentine’s Day sweets, consider the Cookie Box from That’s Caring! Each box contributes a portion of proceeds to fight childhood hunger, so you can help give to others with each purchase from That’s Caring. We love these homemade cookies, which are each individually wrapped to travel well in a lunch box or just enjoy slowly at home! 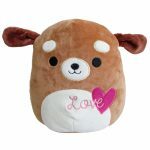 Their favorite squishy lovable pets are ready for Valentine’s Day with special hearts and embroidery. If a Squishmallow is still on their list, check out all the fun pets available on the Valentine’s Day suad! Collect one or more. The Larger size are great for piling on the bed with the pillows. For younger kiddos, collect the 8″ Squishmallows! What could be better than reading a story?? Your child creating their own, again and again… Inspired by Grace’s daughter who would repeatedly waste paper by creating stories in her notebook, then crumbling up the pages, only to start a new story all over again, Grace invented the original, reusable Doodle Now & Go Book. Revolutionary, and patent-pending, our 8 page Doodle Now &Go Book provides an endless landscape for your child’s creative energy. It’s great for home, travel, dining out, and just about anywhere your child has idle time. It comes with our exclusive patented Zero Dust™ ButterStix™ (4 pcs). So not only will you save paper, but cleaning afterwards is a breeze. A match made in heaven. It’s sometimes difficult to find a Valentine’s Day gift for older kids or tweens. This Lego Valentine’s Bee is the perfect gift for any gender or age group, and as always Lego encourages creativity and active play. Heading off to Disneyland or Disney World soon? Be Prepared with these adorable Minnie Baseball Caps and Minnie bracelet sets (in Red and Pink)! For your older kids, maybe cooking is more their thing (with adult supervision, of course). Get them inspired with a cute 3 Piece Mickie and Minnie Mouse Kitchen set that includes a towel, oven mitt and pot holder (red for the holiday, of course)! Looking for a gift for pup-loving friends or co-workers? Try a two pack (4 oz each) of our signature shampoo, Simply Clean (either our Original Formula or Anti-Itch) and our popular between-baths spray, Simply Fresh. The crisp scent and healthy formula will be appreciated by your friends whose pups are family. 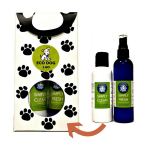 Both products naturally repel pests like fleas and ticks and leave a crisp, light scent that you’ll want to bury your nose in. Toxin-free. Always. Our shampoo cleans your pup gently but deeply with a coconut-based cleanser, enriched with argan and jojoba oils for a soft, shiny coat. And our signature blend includes geranium, peppermint, lemongrass and cedar which naturally repel pests like fleas and ticks. Don’t let distance come between true love! This Valentine’s Day, send a sweet care package filled with a fine selection of decadent, rich chocolates and an adorable teddy bear that can pass along your love! This Valentine’s Day care package is sure to bring a smile to your sweetheart’s face. Right now, get $10 your Gourmet Gift Baskets purchase of $50 or more with code CUPID at Promocodes.com! So be sure to check out this basket and others to find the perfect one for your sweetheart. 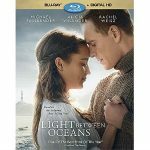 The sweeping romantic film, Disney/Dreamworks Pictures’ The Light Between Oceans, arrives on Digital HD, Blu-ray™, DVD and On-Demand on Jan. 24th. 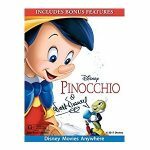 This beautiful romance stars two-time Academy Award® nominee Michael Fassbender (Best Actor, Steve Jobs), Oscar® winner Alicia Vikander (Best Supporting Actress, The Danish Girl), and Oscar and Golden Globe® winner Rachel Weisz (Best Supporting Actress, The Constant Gardener). The timeless tale of love, relationships, and impossible choices is a must for any of lush, beautiful romantic movies. This release includes never-before-seen bonus features, including a documentary which reveals director Derek Cianfrance’s unique approach that allowed the all-star cast to embody their characters and examine the power of love; a historical look at New Zealand’s Cape Campbell Lighthouse that serves as Janus Rock, a key element in Stedman’s novel; and insightful and in-depth audio commentary led by Cianfrance. Developed by a husband and wife team with 35 years of marriage experience, this gift box of kiss ideas will provide plenty of romance this Valentine’s Day. Contains 30 laminated cards with different ideas for kisses, along with extras like fun trivia. Create your perfectly brewed cold coffee or tea in your own kitchen! No need to stop by for an expensive cold brew coffee with this beautiful stainless steel and glass carafe. Even better, the Integrity Chef brand has partnered with World Concern to provide access to clean drinking water and to provide treatments for those who have become ill due to contaminated water. For every product you purchase, Integrity Chef can provide clean water for one child. See this and other Integrity Chef products on Amazon. These lip balms are made out of only 3 main ingredients: Organic Cold Pressed Sweet Almond Oil, Organic Cocoa Butter, and Organic Beeswax. The wholesome recipe of these ingredients keep your lips moisturized for hours! The recent consumer survey shows 37% of respondents would prefer to receive a gift card for Valentine’s Day, coming in 3rd place behind receiving a gift card for Mother’s Day (67%) and Christmas (81%). When broken down by gender, 39% of female respondents and 35% of male respondents said they would appreciate a gift card for Valentine’s Day. So what are you waiting for? Gift the gift that keeps on giving today and grab a Vanilla Gift Card! This candle’s small 7-oz. size likes to mingle in groups with other size candles. It’s also great for gift giving or sampling our scents to your heart’s content. The brushed metal lid and modern shape keeps it on trend. A single wick does the trick in distributing the premium fragrance. (35-55 hours burn time) Warm, soft, sweet—like a special whisper just for you. This candle’s small 7-oz. size likes to mingle in groups with other size candles. It’s also great for gift giving or sampling our scents to your heart’s content. The brushed metal lid and modern shape keeps it on trend. A single wick does the trick in distributing the premium fragrance. (35-55 hours burn time) A full bloom scent of lush, orange apricot and soft petals. Remote access anywhere – control and view on the Zmodo app whether you’re at home or on the go. 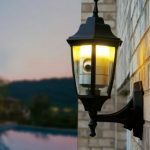 Easy Setup – replace your existing bulb and doorbell and connect to WiFi with the Zmodo app in minutes. Advanced scheduling for notifications allows you to set ‘do not disturb’ hours in the app. Millions of color options – choose the colors you like for your Torch Pro in the Zmodo app and save 6 color presets. Improved two-way audio allows both parties to speak simultaneously using the connected doorbell. Trekz Air use bone conduction technology. They send mini vibrations through your cheekbones, directly to your inner ear, leaving your ear canals open. Engineered to be 20% lighter than its counterpart. So light and comfortable, you’ll forget you’re wearing them. Designed to perfectly mold around your ear and remain in place every step of the way. 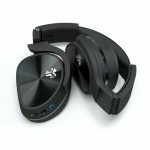 Redesigned bone conduction technology improves bass and dynamic sound range Trekz Air sport a wireless wraparound titanium band that loops behind the neck and hooks over the ears. No cords, no worries. Power on, pair, tuck away your device, and be on your way. Trekz Air offers play/pause/skip, voice dial and volume adjustment at the touch of a button for control on-the-go. A good sauce pan is a kitchen essential! Whether you’re preparing a vegetable side, a sauce or just a small recipe for one, clean up and cooking are easy with this ceramic coated sauce pan. Made In Italy Gourmet Quality: Professional-grade, ceramic-coated saucepan ensures even heat distribution, reduced need for oil & scratch-resistant durability. Thick 3.7mm aluminum base heats quickly. It’s oven safe and made with eco-friendly materials. You will enjoy cooking at home more often with this quality cookware! There are SO many reasons why we love the dresses from Nuu-Muu! For one, the material is cool, doesn’t stretch and is great for relaxing or being active. And then then of course they have a print for everyone, so be sure to check out the wide selection of colors and prints. The new line of Ruu-Muu dresses includes pockets (yay!) so you can keep your keys and phone with you when getting outside this spring. Perfect coverage for wearing with leggings, bike shorts and more. fast-absorbing body cream that helps tighten and smooth the look of skin. Many Brazilian creams have a secret ingredient: guaraná, a native Amazonian plant whose fruit contains one of the most potent forms of caffeine on the planet. Brazilian Bum Bum Cream is also powered by a Brazilian blend of extraordinarily nourishing cupuaçu butter, antioxidant powerhouse açaí, and super-conditioning coconut oil for irresistible, touch-me skin. The fast-absorbing texture contains just enough mica to add a perfect Brazilian glow, as the formula helps your body look and feel its smoothest and tightest. Pistachio caramel leaves skin delicately fragranced. This month’s box is filled with full-size yoga products that will inspire your life, workouts and community. For for the health or Yoga buff, this subscription box is filled with little things to help with relaxation and health. Each monthly box differs. Enjoy teas, facial masques or whatever this month’s box holds! Great as a gift for her this Valentine’s Day, or to spoil yourself! Nourish your scaly, patchy & rough skin with our carefully developed, botanical formula, PSO Body Cream. Visibly see a reduction in scaly skin, white flakiness, rough & red patches on skin, itching and other symptoms. Perfect for problematic skin areas including dry elbows and knees. Benefits Intensely nourishes rough, scaly skin Works to improve the look and texture of the skin Paraben-free, Steroid free Dermatologically & clinically tested PSO Body Cream does not contain known irritants to Psoriasis or sensitive skin among children or adults. If looking to calm and prevent dandruff & dry patchy skin on the scalp as well, check out our PSO Shampoo & PSO Scalp Lotion. Disclaimer: *individual results may vary & are not guaranteed. ORGANIC virgin coconut oil & our organic proprietary great-tasting organic essential oil blend of peppermint and spearmint. TRAVEL FRIENDLY: This single-serve pre-portioned packets make oil pulling while on the go and traveling convenient, SAFE AND EFFECTIVE Promotes oral health, removes harmful bacteria in the mouth, clears sinuses, brightens teeth, freshens breath. No chemicals, nothing artificial – just simple, clean, organic ingredients. TWO WEEK SUPPLY: Each oil pulling kit contains a two week supply! OTHER GOOD STUFF: Vegan, Gluten Free, Non GMO, Made in USA. For the runner in your life, select a gift that will be used often! This Black HiViz Arm Band from Sprigs is a great essential for runners, at an affordable price point. This arm band fits any size phone (it fit my iphone 6 WITH the Life-Proof case on), and it’s easy to remove. The arm band is a very snug fit. This is nice for longer runs where a loose arm band can cause problems and become uncomfortable. Available in Small, Medium and Large. Stereo sound with Bluetooth(R) Compatible with virtually all Bluetooth devices. Includes in-line microphone so you can take phone calls on the go. Rechargeable battery lets you listen for hours on end. We love ear phones for new workout challenges in the new year. A must if you’re starting on fitness goals! Desert Harvest Hand and Body Lotion contains only Mother Nature’s safest and most gentle ingredients that work in harmony with your skin to bring out its natural beauty. Enriched with antioxidant vitamins, botanicals, and aloe vera, this rich lotion nourishes your skin by depositing essential nutrients and penetrating to the deepest levels of the derma. Used daily, it makes your skin touchably smooth and naturally radiant. THE LAST MEASURING SPOON SET YOU’LL EVER NEED – Super high quality, durable, food-safe ferromagnetic stainless steel is built to last for a lifetime. Every element of our measuring spoons must pass a professional grade inspection to ensure the highest quality of craftsmanship. A truly beautiful design that will never rust and perfectly maintain its beauty to satisfy all your culinary needs for many years! Buf-Puf’s Facial Sponge is a gentle, non-irritating sponge to be used daily with your favorite soap or cleanser to help clean and refresh your skin. After use, skin is left smooth and soft, perfectly prepped for your favorite moisturizer. trying to stick with organics but don’t want to miss out on chocolates this Valentine’s Day? Take a look at these delicious fruit and chocolate organic confections from Sweet Valley Organics. Sweeter yet when it’s from your friends at Sweet Valley Organics, fellow chocolate aficionados who prefer their snacks to be as certifiably delectable as they are organic and hooey-free. Something you can feel good about buying, munching on and divvying up with some of your favorite people. Or, keep them to yourself! Choose a craft soda that goes beyond the average sparkling water. Sipp Sparkling Organics can be paired with different flavors, whether you’re having a spicy dinner or sweet snack. Perfect refreshing options can be enjoyed for a special date night in, or just as a pick me up after your workday. Check out all the options and grab a $1 off coupon at website! Clean, dry protection – in an instant! Clinically tested 24-hour odor protection, with no residue on skin or clothing. Easy-to-use continuous spray can uses compressed air – no chemical propellants. 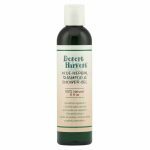 Intensive Cocoa Butter, Sunflower Oil and soothing Chamomile Extract soften, smooth and help relieve extremely dry, rough skin. Find in store at your nearest Whole Foods Market. People go nuts for PBfit® and here’s why: they don’t expect it to taste as good as regular peanut butter. So when it does, they get super excited, even a bit obsessed. Imagine snacking on peanut butter that’s only one-third the calories and 90% less fat*. That means guilt-free smoothies, PBJs, peanut butter dips, oatmeal, pancakes—you get the idea. It’s your new non-guilty pleasure.